Live Love and Laugh Enough! Yup. Smith Street. I have this one and Dot n Daisies. I have made the Dots n daises and like it a lot. I dunno, but it sure is pretty! If a woman's work is never done....why start? Hope someone knows it is a beautiful quilt. Last edited by KLO; 05-27-2012 at 01:18 PM. 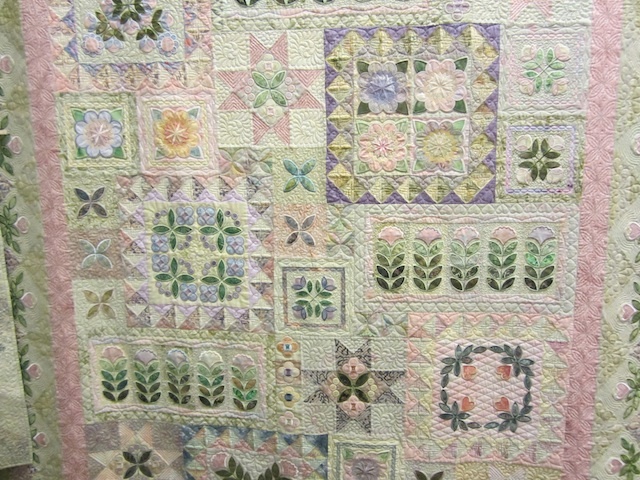 It is a beautiful quilt and you can tell she knows how to do machine quilting!! I don't know, but it is absolutely gorgeous!